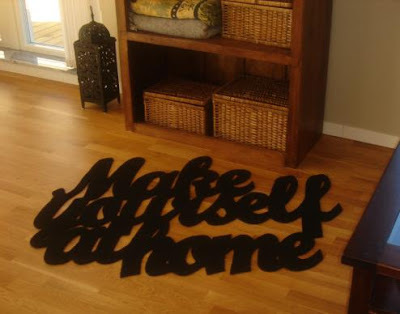 I am digging these throw rugs, even though they are totally impractical (made of felt, hard to vacuum). 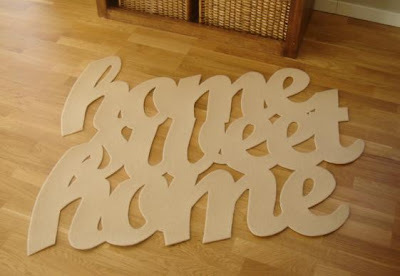 I like the fact that the silhouetting of the words allows the hardwood to show through . . . Find them here at John Pour Home.